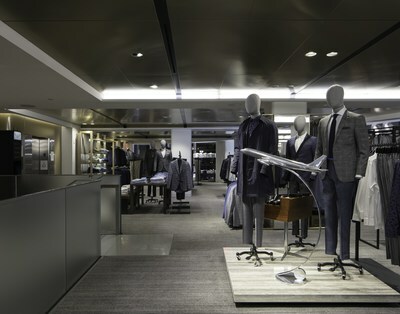 NEW YORK, April 12, 2018 /PRNewswire/ -- Nordstrom, Inc. (NYSE: JWN) opened the doors this morning to its very first flagship, full-line New York City location and first ever stand-alone men's store at 235 West 57th Street. 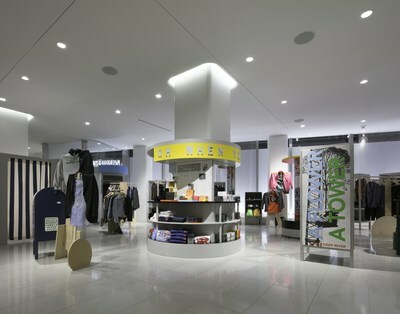 The three-level 47,000 square foot store offers a differentiated merchandise assortment across all categories, including popular and designer brands, along with a range of convenient services to serve customers on their terms. Customers can shop a comprehensive selection of apparel brands across a broad range of price points, including Adidas, Carhartt WIP, Rodd & Gunn, Stone Island, Death to Tennis, Norse Projects, Lemaire, Moncler, Canali, Topman, Ted Baker London, Hugo Boss, Giorgio Armani, Tiger of Swedenand Givenchy. The accessories department houses brands like Foundwell, Ray Ban, Moscot, Mykita, Pradaand Loewe. 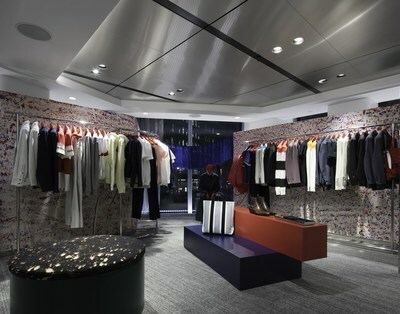 The vast shoe department will include Reebok, Common Projects, Vans, Alden, Church's, Salvatore Ferragamo, Balenciaga, Gucci and exclusives from Greats and Jack Erwin. The grooming department will introduce to the U.S., barber-created Murdock London, who will be sending barbers to New York for special appearances. Saturdays NYC will launch product alongside brands like Proraso, Kiehl's, Tom Ford Grooming and exclusive Ted's Grooming Room by Ted Baker London. An extensive fragrance selection will include options from Parfums de Marly, By Killian, Chanel, Valentino, Prada, Armanicorpor, Dior and many others. 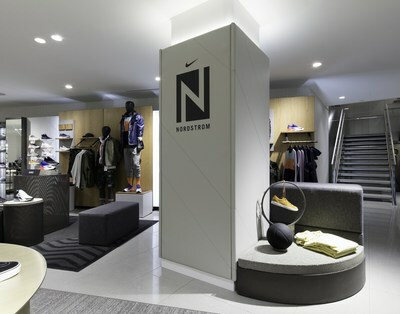 Nordstrom is committed to serving customers on their terms and the Men's Store will offer a number of shopping services that provide convenience, speed and ease. At each store entrance shoppers will find Express Returns kiosks, plus Style Boards, 24/7 Buy Online & Pick-Up in Store, Reserve Online & Try in Store and Three-Hour Same Day Delivery anywhere in Manhattan, all which seek to bridge the convenience of online shopping with the personal experience of the store. Shoppers will have access to 24/7 Express Services during all hours for fashion emergencies like lost luggage or items that went unpacked, in addition a cell phone charging station, expert Shoeshine, an onsite Alternations & Tailoring department, and Complimentary Personal Stylists. In the Clubhouse Bar customers can treat themselves to a drink or meal, while taking in intimate views of Central Park and Columbus circle. Hand-crafted cocktails, a selection of fine wines, as well as carefully selected snacks with seasonality in mind, including warm toasts, indulgent melts and a signature lobster roll developed by Nordstrom Chefs will be available. The Coffee Shop will feature Toby's Estate Coffee, a small batch roaster based in Brooklyn, serving unique handcrafted drinks by skilled baristas. As an added twist, the coffee bar will also offer draft beer on tap in addition to a section of local pastries. Nordstrom has been a longtime believer of investing in artwork for its stores. New Yorkers will experience an extensive collection, featuring 39 works by both international and American artists, with a quarter being local. Suspended in the center of a three-story staircase, a floating, diaphanous tree sculpture entitled "Arctic Tree" by the Seattle-based artist John Grade is a nod to the retailer's Seattle roots. 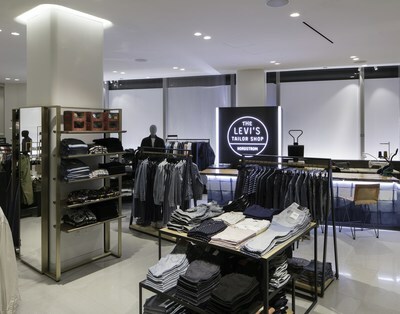 As part of our Men's Store opening and as we continue to expand our presence in the New York metro area we have committed $5million dollars to NYC over the next three years. To stay true to our Nordstrom Cares mission we plan to support a number of programs and organizations that care for kids and empower youth, as well as those that have a significant impact on the community. In the coming months, Nordstrom will be forming a NYC Community Advisory Board to attract, vet and award community grants. We are proud to announce our first grant will be to the Hetrick-Martin Institute, the nation's oldest, and largest, organization supporting gay, lesbian, bisexual, transgender, and questioning (LGBTQ) youth to reach their full potential.